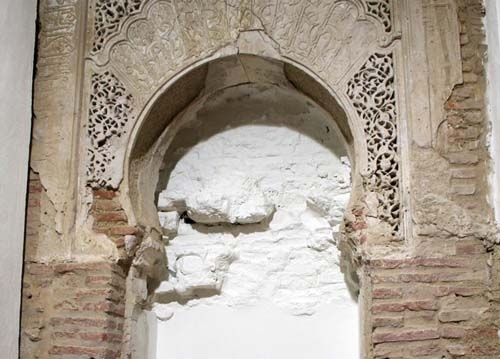 Mihrab Arch is a directional niche which is really a liturgical axis that takes the form of a key hole arch in the same way as it does on the Mosque “qibla” wall. 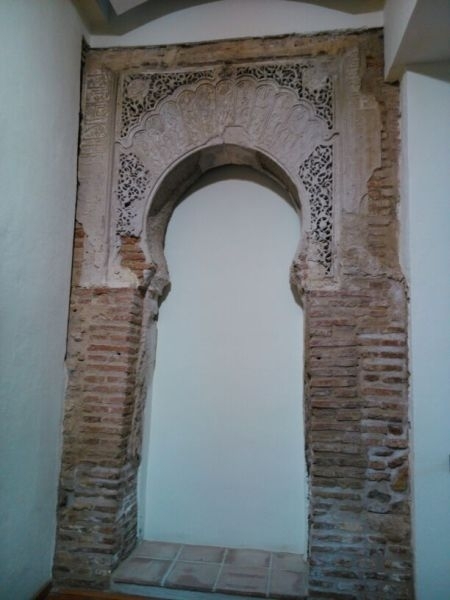 Our Mihrab Arch belonged to a Mosque from the Nazar period which is defined by rich plaster decoration. It consists of lobed keystones in a radial arrangement, profuse decoration of interlaced plant motifs and palmettes made by finger impressions. The Arch is framed by molding whose sides are covered by an epigraphic strip with Koranic text.